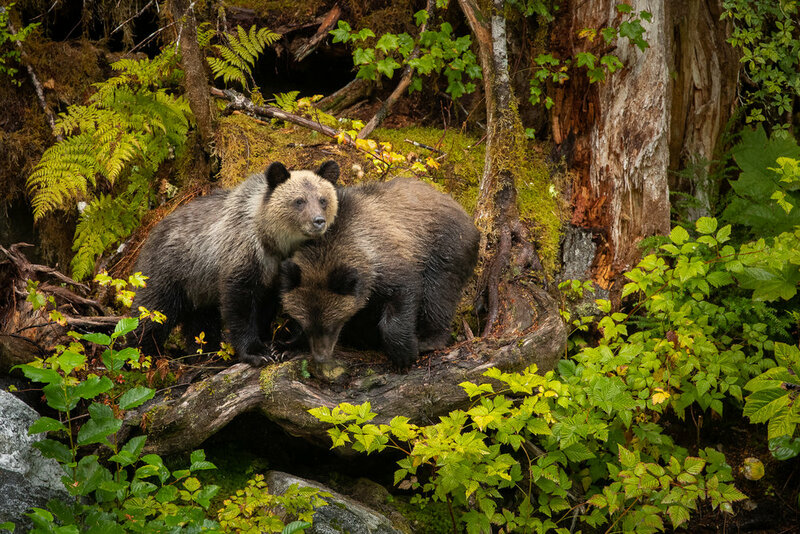 Two grizzly bear cubs watch and learn as mom fishes for salmon in the Great Bear Rainforest. After the initial excitement of finding this grizzly in the Tetons I was confronted with the difficulty of creating an image with the contrasting light. All of the scenes seemed to contain either dark shadows or harsh light, neither of which are pleasing to the eye on their own. There was one possibility…but it would take a bit of luck. 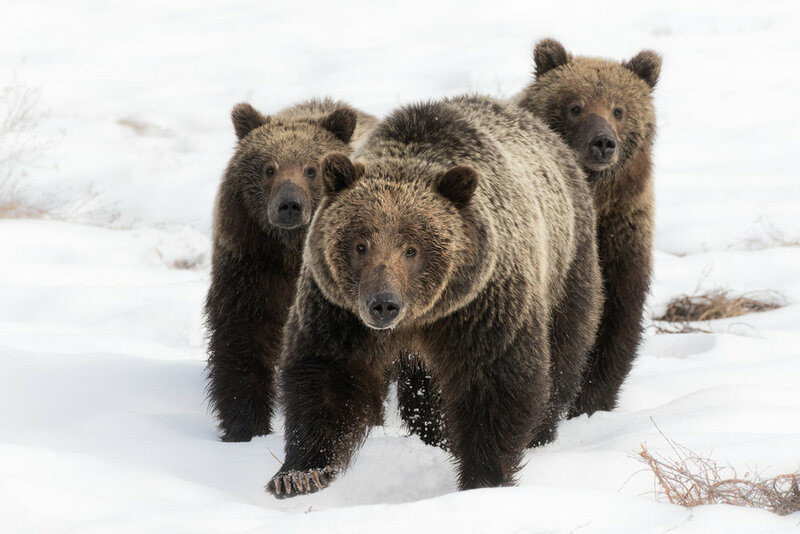 I would need a scene where the light illuminated only the bears face, while leaving the majority of the scene in shadows. If this came together, then I could underexpose the image by 3 full stops in order to reduce the chaos in the backdrop by turning it black. I would also need to position myself as low as possible to create the shallowest depth of field possible, which blurs the background. These two elements combined (the darkness and blur) allowed me to a create an image that was pleasing to the eye in conditions that otherwise were not.